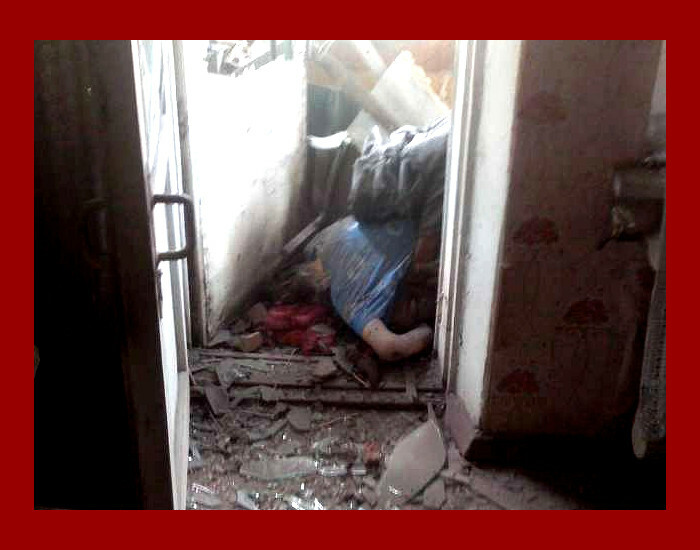 The shelling of Lugansk city of 11 July. A piece impacted an apartment house close ca. 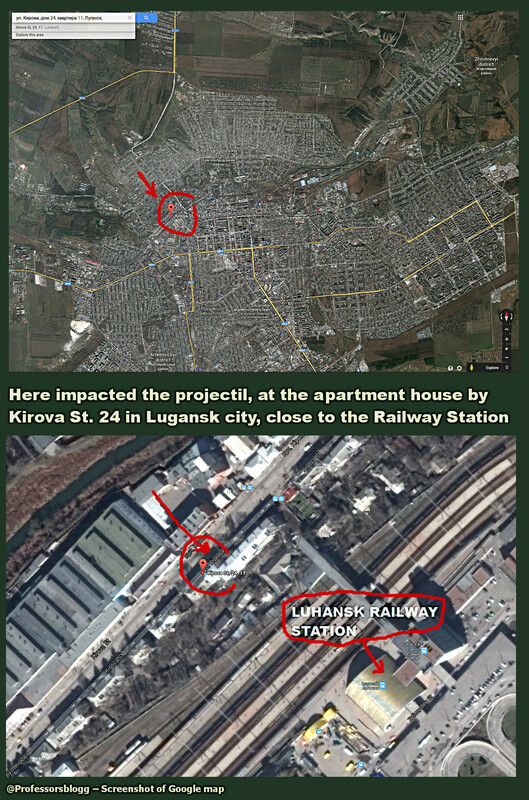 150 meters to the Lugansk Railway Station, which raised speculations as to where the shelling was actually directed, or on the magnitude of civil casualties if would have impacted the station by error. The images of the impact in the apartment are stills taken from a video published in YouTube. 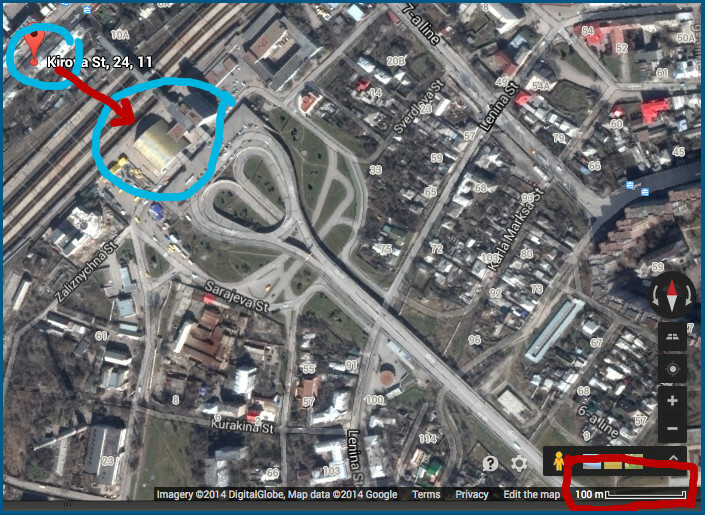 The diagram showing the impact presumable direction I made it on a zoomed map of the city found in Google. Yesterday 11 of July, Donbass Revolutionary forces attacked an Ukrainian Army convoy, inflicting a number of casualties. 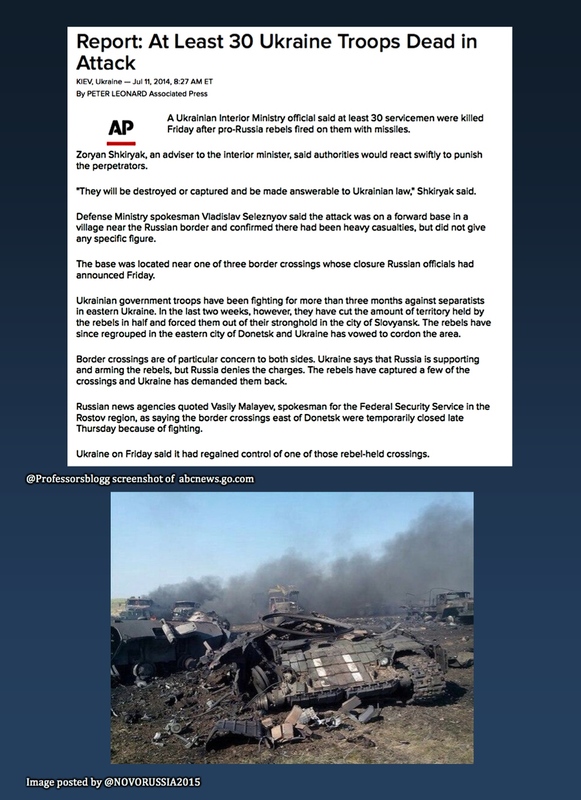 The Kiev junta promised retaliation and “punish the perpetrators”. [See info. by Associated Press below]. All casualties, in any war, from any side, are to be regretted. Violence cannot replace the civilized seeking of solving a conflict between different ethnic-nationals, particularly in a same country. The Kiev junta initiated a deadly military offensive against their own people – such as the “ATO” against the Ethnic-Russians in Donbass which voted for self-determination in referendums – have at the end invariably been condemned by International tribunals on war-crimes. However, military operations of disproportionate retaliation have deserved even more severe condemnation by those tribunals of justice. July 12, 2014 in Uncategorized.